The ratification of the 12th Amendment opened the door to party control of the presidential election. This, in essence, legitimized tampering with and influencing Electors. The 12th Amendment mandated a separate vote for President and Vice-President—and made the process more closely match what was already being done. The changes made since the passage of the 12th Amendment have been more subtle. We haven’t bothered to amend the Constitution; rather we have just chosen to ignore the intent while following the mechanics. One step at a time we have marched toward a popular vote based on campaigning. 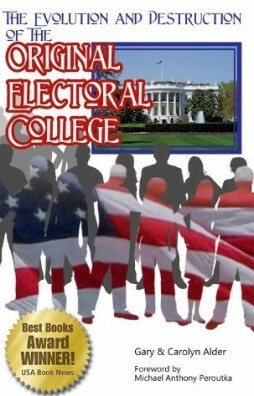 The Electoral College System was based on thoughtful consideration of merit by eminent Electors. The popular election system requires candidates to appeal to the personal interest of the voters at the expense of the nation as a whole. Today’s version of the Electoral College, is a mere formality or rubber-stamp rather than a group of individuals that would determine anything. The Electors are each required to comply rather than to decide. Now we have totally replaced the Electoral College System with a popular vote system. The popular vote system has retained an electoral-college facade to hold on to the appearance of conforming to the intent of the Constitution. Let us now describe how those important aspects of the Electoral College System were lost.